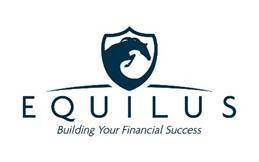 Who Is Equilus Group Inc? Equilus Group Inc is a team of talented financial experts, working together to leverage our broad spectrum of skill sets to provide a comprehensive suite of financial services. Our home office is in downtown Wenatchee, Washington, centrally located between Seattle and Spokane. Why was Equilus Group Inc formed? Equilus Group Inc is the brainchild of managing director, Joel Frank. With over 30 years of experience in the financial industry and extensive experience in agricultural commodities, Joel realized he wanted to provide a different experience for his Clients. Some financial professionals provide specific sets of services, like tax planning, investment advising, portfolio management or employee benefits packages. While these experts may be great at what they do, they are not typically able to provide individuals or businesses with a comprehensive solution. This leaves the decision on you to coordinate between different financial professionals for different needs, which can be time-consuming and complex. Other companies provide multiple services under one name, but each area of expertise operates in a “silo”, separated from the other professionals. As a result, while they may offer a full suite of financial services, the results are often uncoordinated and disjointed, resulting in financial decisions that are not optimized for your financial situation. At Equilus Group Inc we take a different approach. We have assembled a team of financial experts that are each at the top of their field. But unlike other companies, our first priority is to communicate and collaborate on what is best for our clients. Our relationship with our clients is the driving force behind every decision that we make. The plans we build for each client are unique and involve direct communication between the client and the professionals on our team. We have decades of experience in reaching across all areas of finance, from real estate investment to tax planning to business planning and benefits. If you have an existing relationship with a financial professional, we will work with them to leverage the best possible solution.